1 kilometre away from the Ajmer Junction railway station. The Ajmer Sharif dargah is located it is also called Moinuddin Chishti dargah. It is an international waqf at the taragarh hill in Ajmer town. It is a pilgrimage for Indian Muslims and the place is the top visited place in Ajmer city. The historic place is conserved by the act of Indian government which is Dargah Khwaja Saheb Act, 1955. The place is situated with a historic emotion that is the saint Khwaja Moinuddin Chishti visited the place from Persia and died in 1236 CE in the dargah. He is remembered for the noble teachings he taught to the people. People from around the country come and pay homage to the needy. Akbar’s palace and the museum is ancient heritage site situated in the state. The place was built in 1570 AD by Mughal emperor Akhbar. Whenever the king needs to visit the Ajmer he spends his rest of the time in the palace. The historic importance of the palace is also said as the meetings between the Mughal emperor Jahangir and Sir Thomas Roe was used to hold here. In 1908 a small part of the place is converted to the museum. The beautiful black stone sculpture of Mata Kali is being displayed with some armours and weapons too. Foy Sagar lake is a man-made lake in the west of Ajmer city. In 1892 the lake was created to get rid of the lack of water and famine as well. The English architecture Mr Foy constructed it and it is named after him. The paranomic view of the Aravali hills can be easily witnessed from the lakeside. The city named as marble city of India is Krishnagarh situated in Ajmer. Prince Kishan Singh laid the foundation of the place in 1609 CE. Khoda Ganesh temple, Phool Mahal palace and Gondalava lake are some major attraction in the marble city. The city is the home of 9 planets temple nowhere in the world one can find a temple having all the nine planets. The fort is situated on the bank of Gondalav lake. The perfect design of Mughals and Rajputana architecture can be seen here. Phool Mahal is also there which is also called flower fort a is converted into a hotel. On the top of nagpahari hill, the taragarh fort is situated. It is one of the best places to see the beautiful city of Ajmer. It also said to be the first hill fort of the Asian continent. Built by king Ajaypal Chauhan in 1100 AD at the height of 800 foot on taragarh hills. During the Mughal period, the fort has the importance of Mughal military activity. The dargah of a great warrior is also located inside the fort. The dargah is named as Miran Sahib ki dargah. The oldest mosque in India and also the most historic place in India is situated in Ajmer. Yes, Adhai din ka jhopra is there. The archaeological survey of India maintains the oldest live monument. Qutbuddin Aibak the first sultan of Delhi laid the foundation of the mosque. Earlier the place was occupied by a Sanskrit college maintained by Shakambhari Chauhan dynasty. The mosque was built on the orders of Muhammad Ghori in 1192 CE. The structure is designed as Indo Islamic architecture.the seven walls around the monuments have the phrases of holy Muslim book Quran craved on it. 124 pillars support the 10 domes made in the mosque. A small script of Sanskrit can be seen t the top of the main gate which symbolises the main historic origin of the monument. 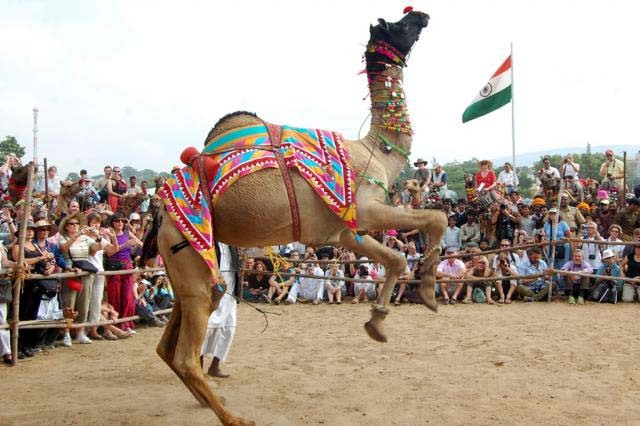 This entry was posted in Tour Packages, Tourist Attractions and tagged ajmer pushkar, ajmer tour, rajasthan ajmer tour, tourist places in ajmer. Bookmark the permalink.